Learning more about the healthcare sector was the main reason I chose the Cambridge MBA and I have not been disappointed. Having worked with pharmaceutical companies, governments, health insurance firms (public and private), and multilateral aid agencies, I expected my learning to be only incremental–but I could not have been more wrong. The Pharmaceuticals and Biotechnology: Biomedicine, Biobusiness and Biodollars” elective and health specialist ‘Coach Nights’, gave us an opportunity to understand the many facets of the life science business. The Pharmaceuticals and Biotechnology elective, taught by Richard Mason and Stefan Scholtes, analyses the business from the viewpoints of: a small biotechnology company, a large pharmaceutical company, investors and the regulator. The class debated on the role young biotech start-ups play in the ecosystem, R&D models in big pharma, evolving investment thesis of venture capital firms and the attitudes of founders, as well as why everyone loves to hate the regulator. The best aspect of the elective was having expert practitioners such as Lisa Drakeman (Genmab), Don Drakeman (Advent Ventures), Melanie Lee (Syntaxin), Francesco De Rubertis (Index Ventures) and Ryan Li (NICE International) present in class discussions. While Richard brings his own a wealth of experience to the class, to grant a highly nuanced picture of the industry. The coach nights beautifully complemented the elective by focusing on healthcare service delivery aspects. (Coach nights are interactive group sessions–with peers, faculty members and industry experts–which students take part in according to their subject ‘concentration’). Pam Garside, who is the Health Concentration coach, is one of the most influential and connected individuals in the UK healthcare sector. It was due to Pam’s enthusiasm that we were given the opportunity to listen to (and share a drink with) Nick Seddon (The UK Prime Minister’s Healthcare Advisor); Dr. Mark Britnell (Global Chair of Healthcare and Life Sciences – KPMG); and Dr. Jim Rice (Director – Management Sciences for Health). Class discussions spanned a wide breadth of issues including: value-based approach to healthcare delivery, the role of politics in healthcare and international issues in health financing and delivery. 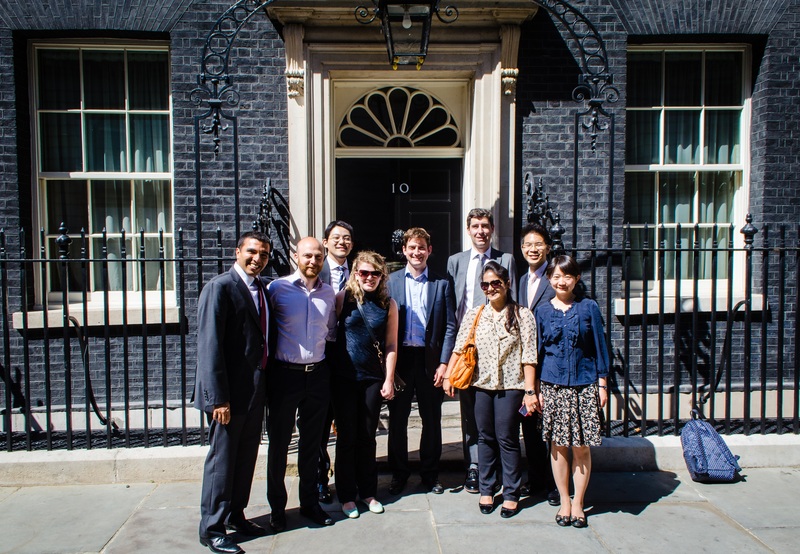 A particular highlight of the concentration (and probably the Cambridge MBA experience) was the class having tea with Nick Seddon at 10 Downing Street no less. The biggest learning point from the concentration has undoubtedly been understanding the diverse complexity involved in any healthcare system. Healthcare lies at the intersection of policy, finance, operations and politics–involving a moral obligation by providers and planners, and a sense of entitlement for beneficiaries. Balancing the expectations of all the involved stakeholders makes this sector both hugely challenging and interesting. The timing of our health concentration activities was ideal-enabling us to build successfully on what we had previously been taught in the Cambridge MBA core courses such as strategy, operations management, corporate governance and ethics, and lean six sigma. Find out more about the health concentration on The Cambridge MBA.